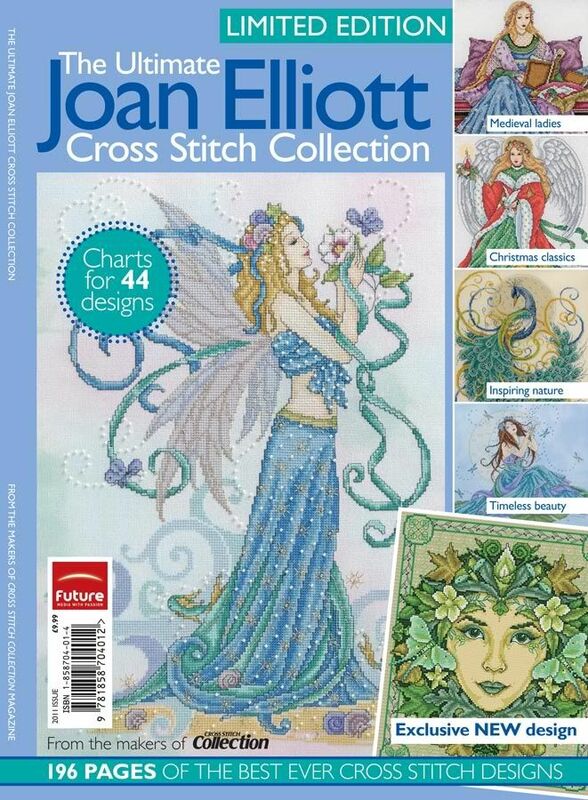 I have fallen in love with Joan Elliott's designs. I bought her Bookazine, the one that has a collection of her works that have been published in the cross stitcher magazine. 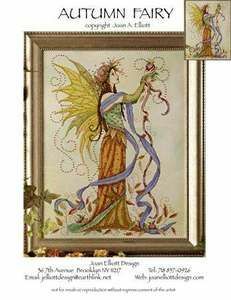 I love, love, love, love, love her seasonal faeries. She uses a lot of purple in her designs and it just happens to be my favourite colour. I love the detail she puts in all her designs, they are a joy to just look at and the detail... 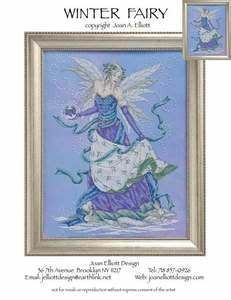 I've never dealt with beads and metallics and she uses a tonne in her designs. After I've gone through the current WIPs and the boxer chart I will seriously consider doing this set. I know the images are really bad but you get the idea on what they look like. They are amazing. I just found your blog while following a trail from blog to blog! I love JE too! I managed to get my hands on a copy and now have to figure out which one to do first! 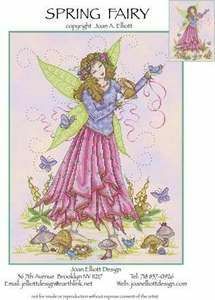 LOL, I was so excited when I got my copy of the book - JE does uses such beautiful colours and the faces of her fairies are lovely - the Mirabilia ladies all tend to look a bit snooty, with their noses in the air but JE's are pretty. Before you tackle a full-on beaded/metallic project, have a play around on something small - a biscornu is always fun to experiment with new bits and pieces... I recommend getting some beeswax or thread heaven to help keep the metallics/filaments under control... and use shorter lengths so they don't fray out on you. I love sparkly stuff and quite often will chuck some beads or blending filament in "just because I can." I love them and don't find them to much of a problem, just go slowly, one step at a time, you'll love it!